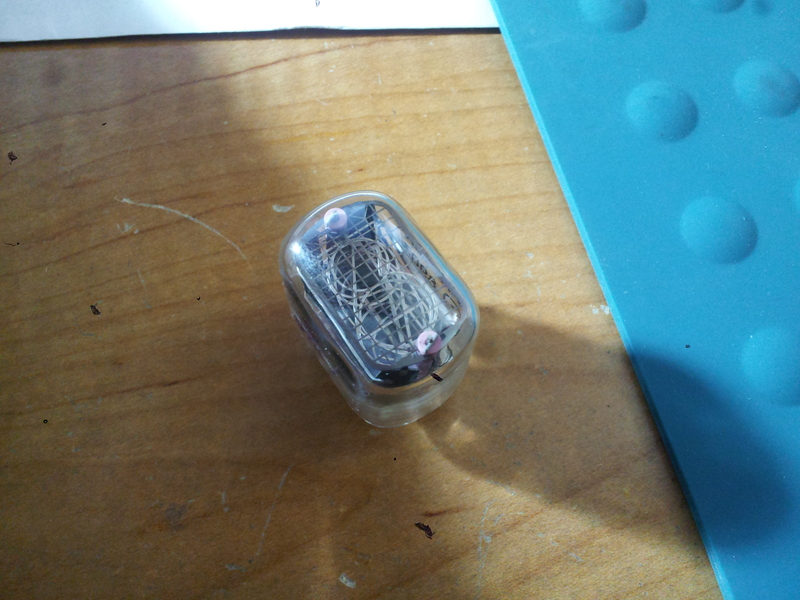 So I committed 100% to the Nixie Clock. 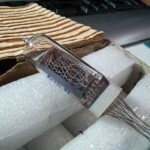 On September 29th I bought a lot of 6 IN-14 nixie tubes [datasheet pdf] off ebay from radiokomponent for about $9.50 each including shipping from the Ukraine. I was a little worried about the shipping taking forever but they arrived in Colorado today, so not too bad. 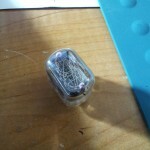 I also bought an IN-12B nixie [info] for about $6 to test with. 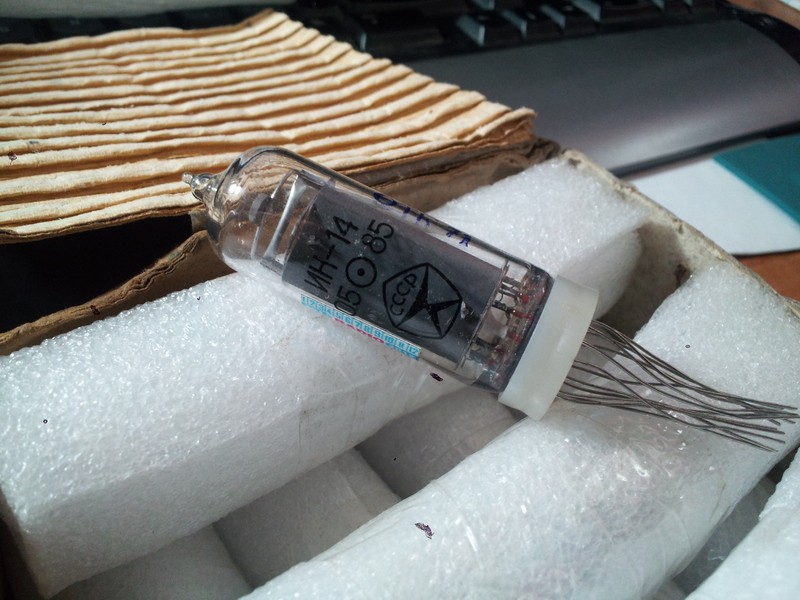 A word of warning on purchasing off ebay, the tube I purchased was an IN-12B, however the shipper sent an IN-12A. The A part is without a comma, so be careful if you are expecting an exact part. 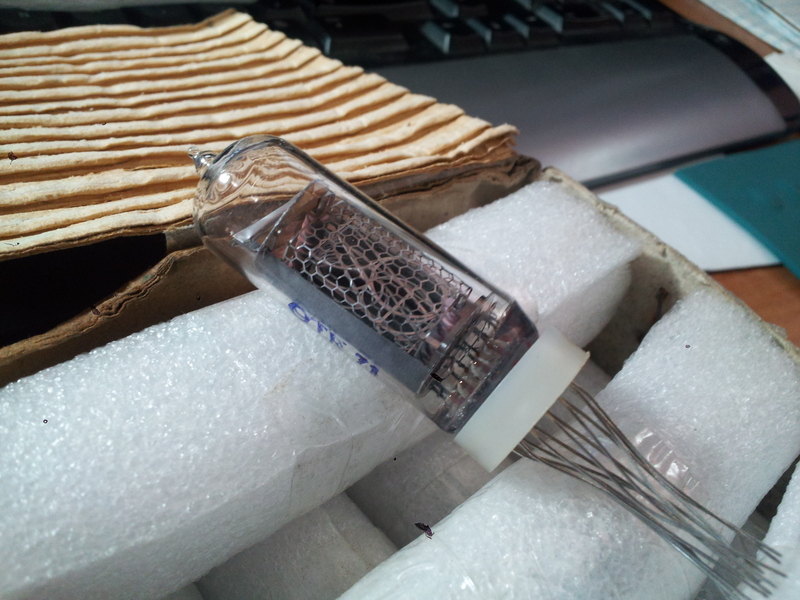 The tubes look in good shape, and look never used. The IN-14s are about 2.25 inches tall including the plastic base, marked as “ИH-14” and have an awesome retro CCCP logo on the back, very cold war. Tonight I made up a footprint in Eagle to mount the IN-12A and am routing it out on a little test PCB on my router (I know I need to post about that). The IN-12A footprint isn’t too hard to make in eagle, everything is pretty much on the 0.5mm mark. After two tries the PCB came out pretty good and mounts the IN-12B snug with 1.2mm (~48mil) holes. 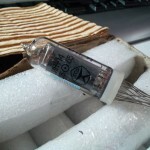 Tonight after some research I bought six 74141 high voltage driver chips to interface the tubes.